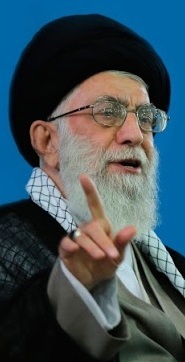 Khamenei’s initial support for Mahmoud Ahmadinejad, who first ran for the presidency in 2005, was partly because the Tehran mayor’s had no connections to Khomeini. He was also not a cleric with religious standing that could undermine the supreme leader. The other two major candidates in the disputed 2009 presidential race — Mir Hossein Mousavi and Mehdi Karroubi — had both been close to Khomeini. As prime minister from 1981 to 1989, Mousavi had frequently clashed with Khamenei at a time Iran had a parliamentary government and Khamenei was titular president. Karroubi had been head of the Imam Khomeini Relief Committee and the Martyr's Foundation as well as speaker of parliament. Both men are now under house arrest for challenging the 2009 election and serving as leaders of the so-called “sedition” against Khamenei’s rule.